Gooseneck mounting post has a 12 in. angular sweep with black powder coat finish and holes for 3/4″ conduit. 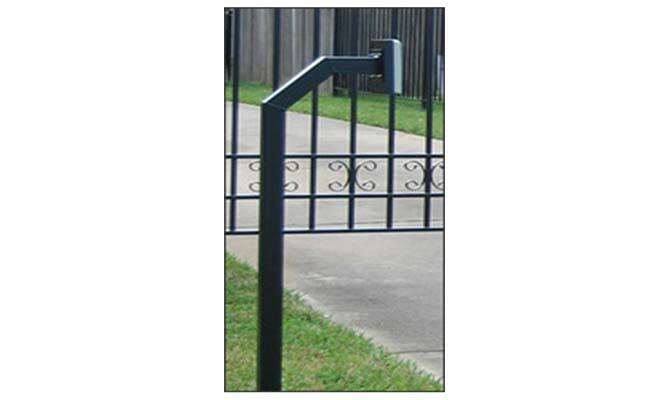 Easy to install, sets in 6″ x 18″ hole like a fence post.